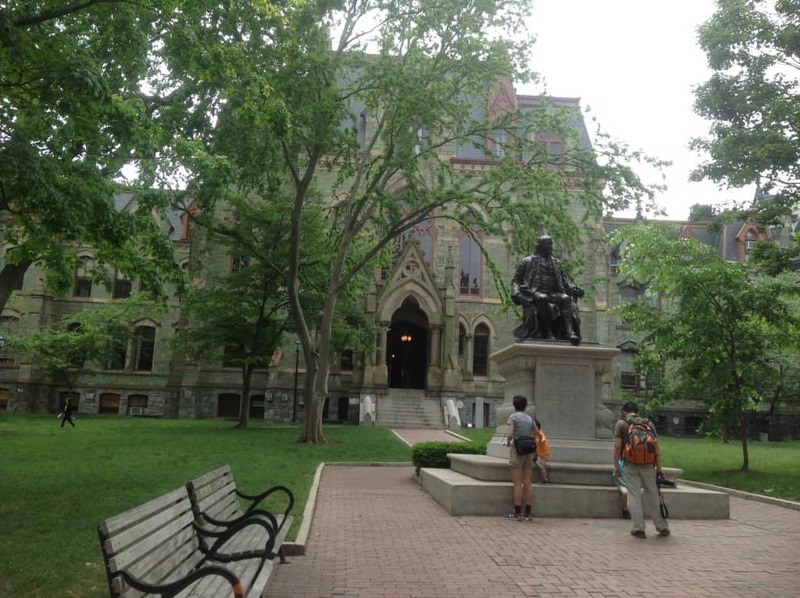 Benjamin Franklin watches over College House, in the middle of Penn’s campus. 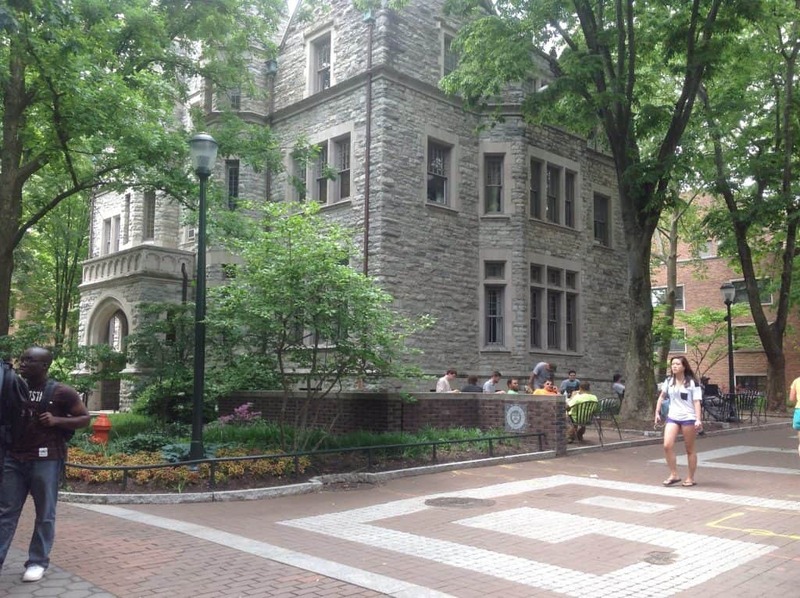 It’s almost hard to believe that The University of Pennsylvania’s campus is actually connected to Drexel’s because the two could not feel more different. Just four blocks west of Philadelphia’s main train station, Penn feels much more isolated than its neighbor. Locust Walk runs diagonally through the center of Penn’s campus, and was designed to ensure that students all walk past each other – multiple times – on their way to and from class. Some students I spoke with said that social life is extremely important at Penn, which strives to live up to its reputation as the ‘Social Ivy.’ Students work hard but efficiently to make time for a jam-packed social life, with about 30% of students involved in Greek fraternities and sororities. “We’ve learned how to work hard to make time for the social life,” said a junior who walked me around campus. With just over 10,000 undergraduates and an even larger number of graduate students, Penn is a thriving intellectual oasis in the middle of Philadelphia. Classes range from 15 to 300 students – introductory classes can be large but upper level courses much smaller. Language classes are capped at 15 and very strong. Penn’s undergraduate business program at the Wharton School may be the most competitive on campus – students say that most other programs are more collaborative. For students who study during off-times, the Van Pelt Library has a floor that is open 24 hours. It’s tough to get in but an amazing experience. Penn students have a steady “work hard, play hard” mentality. Thursday night is the beginning of the weekend, and Sunday, everyone studies all day. The campus is beautiful, but Penn students should remember to take advantage of the world-class and historic city in which their school is located. You can see all of my photos from my visit to Penn here.